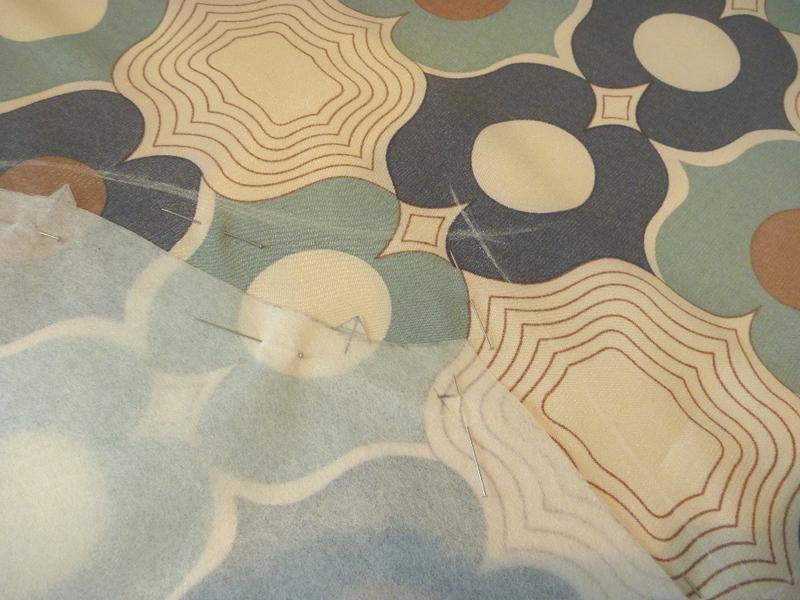 I’ve said it before, I’ll say it again, I HATE working with polyester lining material. This crazy stuff was $2 / yd and comes with the added bonus of a little lycra. The stretch is probably a good thing for wearability, but makes it difficult to press. Hey, but it was only $2, right? The following is for the benefit of my “sew-alonger” and anyone else who has the book. Of course there are no directions, unless one reads Japanese, and the diagrams can be very vague. Hopefully this can smooth the way. The center back seam needs to be extended from the neck to the waist level. 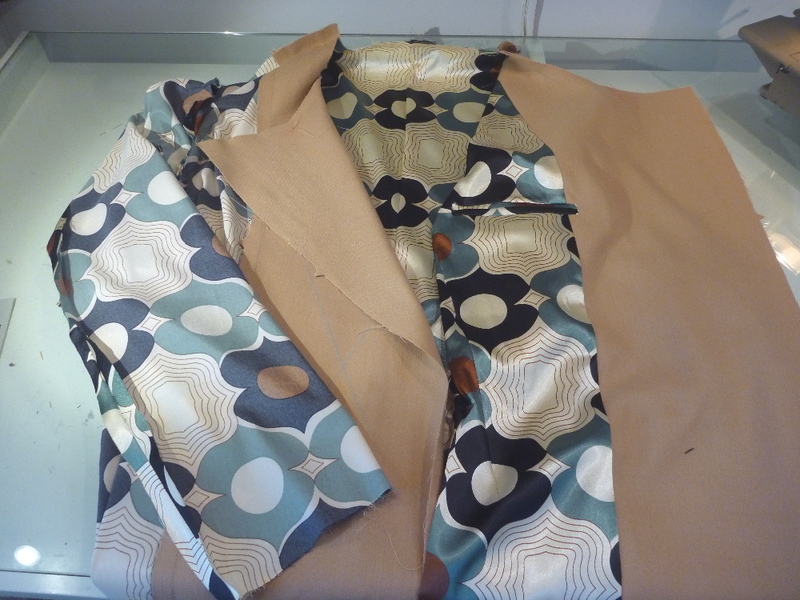 This will create a pleat in the lining for wearing ease. The easiest way is to chalk mark 5/8″ over from the center back down to waist level. The rest of the back pattern is unchanged. Be sure to clip the seam lines and folds for the vent! A lot of the fabric at the vent will eventually be cut away, but I leave that until almost dead last. 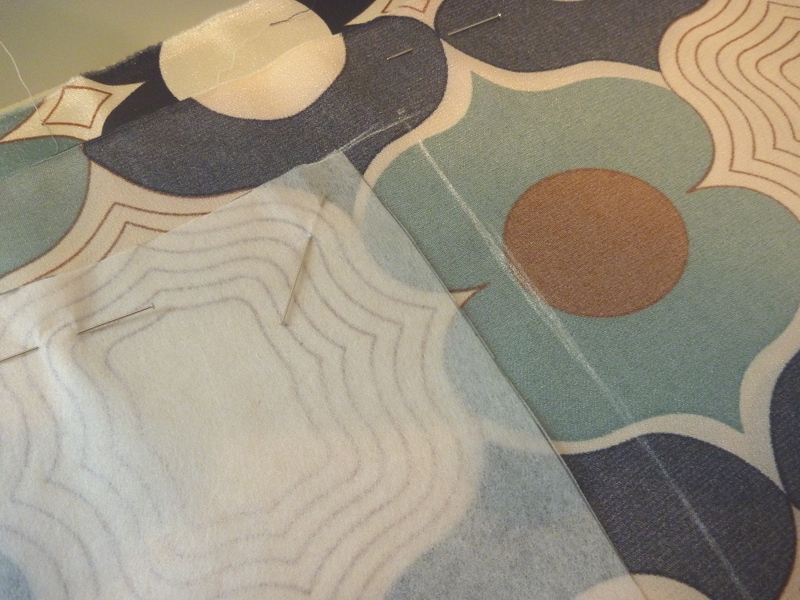 Stitch the back down to the start of the vent using a 5/8″ seam allowance. Now go back to the neck edge and make another parallel line of stitching 5/8″ away from the back seam. This line of stitching only has to be 1 – 1.5 inches long. 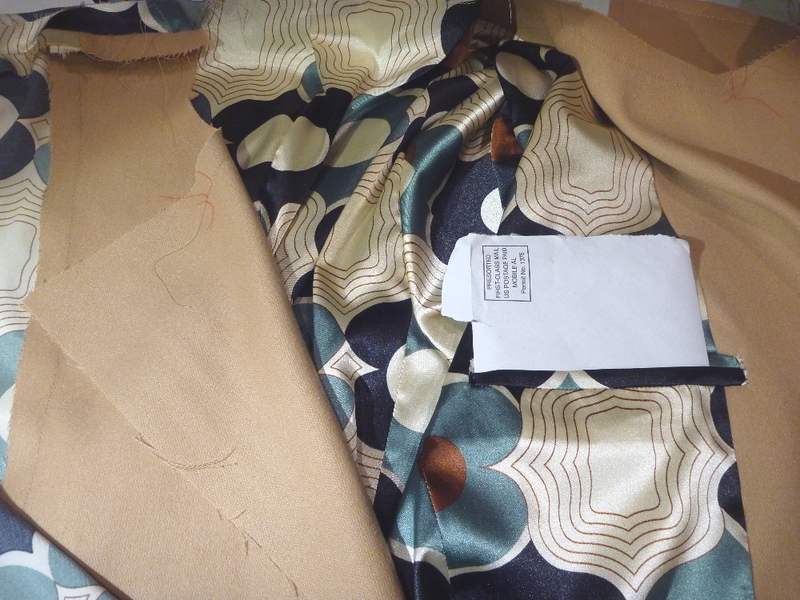 This will create the tuck at the center of the neck seam. Extra fabric also has to be added on in the arm pit area. If you refer back to the cutting diagram you will see that 3.5 – 3 Cm is added. Don’t drive yourself crazy here. Get the general gist and chalk mark a close approximation onto your fabric. Here are the sleeves cut out. I did have to ease the sleeves a bit more than usual, but it all works out in the end. Plus, it’s just a lining. I wouldn’t be concerned about any little tucks that may happen in the sleeve area. 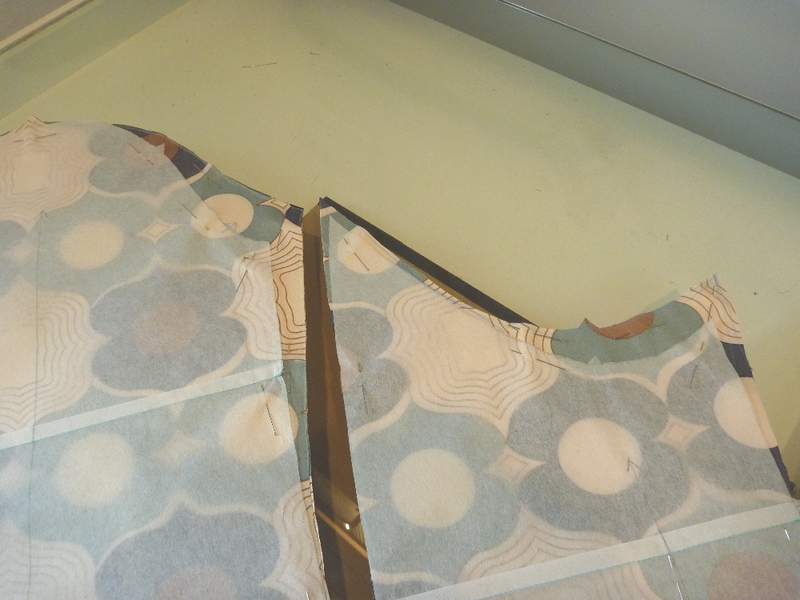 It’s a heck of a lot easier than sewing the lining in by hand. I also added a left chest pocket because I think it’s a nice feature to have on a mans coat. I like having a place to put a letter, bill, directions etc. This is a double piping pocket a la Cabrera. It’s not the best one I’ve ever done, mostly because the lining fabric doesn’t take a pressing well. No close up photo of this one! 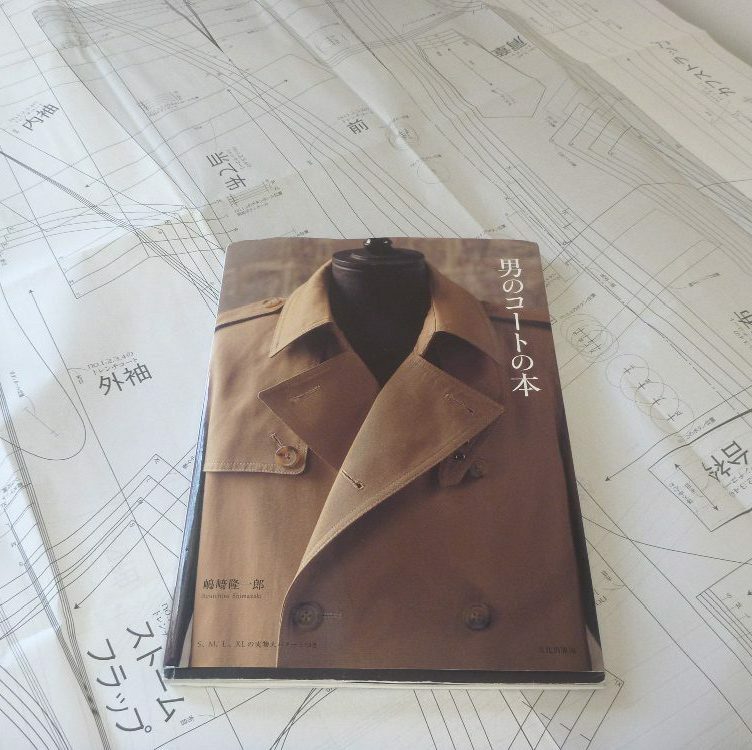 It functions, it’s on the inside of the coat, no one sees it. Here’s the finished lining. I’m always glad to get to this point because I know it can’t get any worse. The next and final hurdle will be the collar.